Clear the bench space and enjoy filtered, ionised alkaline mineral rich water straight from the kitchen sink. Electric Drill, Metal Hole Saw (we use Sutton 25mm-32mm Cobalt BiMetal Hole Saw for stainless steel sinks, we recommend contacting a expert for stone benches), Masking Tape, 2 x Adjustable Spanners. 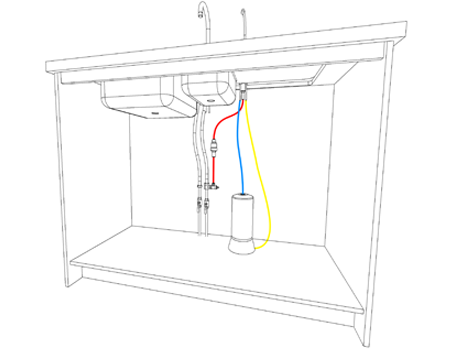 The kit includes everything you need to install the UltraStream under the sink. 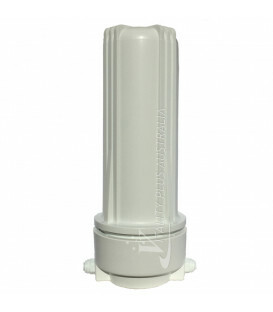 With the filter and connecting water pipes all hidden from view, the only thing you see is the attractive water outlet that delivers to you alkaline rich, purified ionised water. 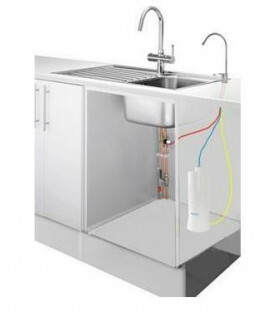 Comes with the UltraStream complete water filter and the UltraStream Undersink Kit. Full 3 year Alkaway Warranty. the other one has a plain stainless steel with a sports cap offering a very good flow for drinking on the go. We have been using these water bottles for years ourselves and can guarantee they are one of the best water bottles out there and are high quality. The UltraStream detoxifies your water to an unsurpassed degree: fluoride, poisons, bacteria, chlorine, chloromines, heavy metals, volatile organics, trihalomethanes, arsenic. It's also an ioniser infusing massive amounts of hydrogen turning tap water into anti-oxidant hydrating goodness. 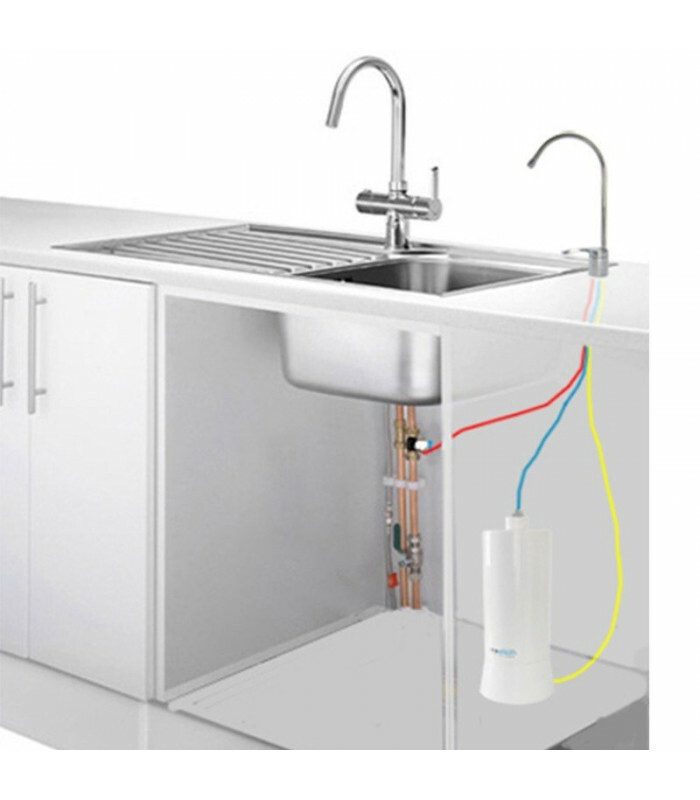 From delivery to set up, alkaline, ionised water is readily available. No tools are required if you have strong fingers. For those of us who feel their fingers aren't up to the job, a pair of pliers or multi-grips is all that is required. Alkaline water is water that has a higher concentration of the alkaline buffers (magnesium, sodium, potassium & calcium) than acidic water has. 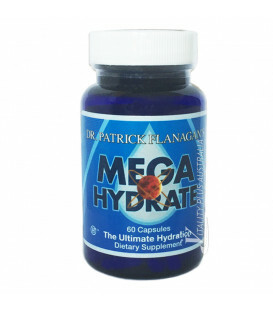 It is the richness of these alkaline minerals that changes the waters properties. Most municipal water supplies have calcium added to bring the alkalinity of the water supply up. This added calcium doesn't increase the waters hydrogen ion content. The molecular make up of water as we know is H2O (two parts hydrogen ions and one part oxygen). Without the hydrogen ions, fluids have limited ability to transport oxygen. As Dr. Carrel (Nobel Prize Winner) said, "The cell is immortal; it is merely the fluid in which it floats that degenerates. Renew this fluid at intervals, give the cells what they require for nutrition, and as far as I know, the pulsation of life will go on forever". In the video below, water from the tap is measured for pH (alkalinity) & ORP, then measured again once the water has passed through the Ultrastream filtration medium. 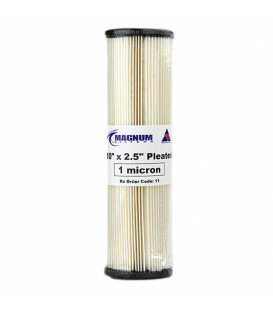 The UltraStream is designed with ease and efficiency in mind. 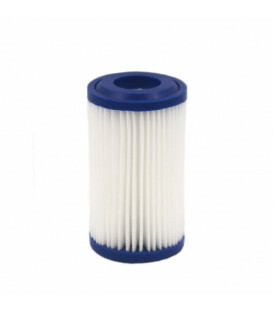 When you replace your UltraStream filter, in under a minute you can be enjoying the benefits clean, alkaline, ionised, hydrogen-rich water give you just like the day you bought it. 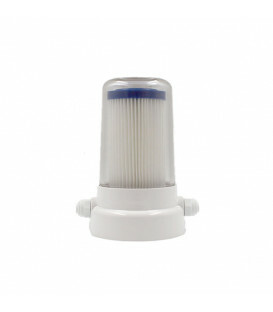 With the UltraStream, everytime you replace the filter, you have a brand new ioniser. 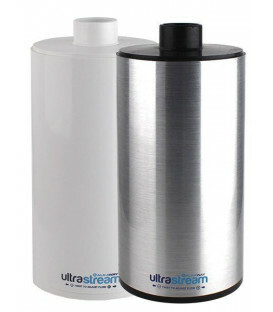 The UltraStream is the clever way in water filtration!